Make an impact in the community! 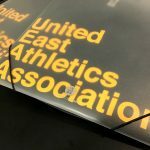 UEAA thrives on the efforts of the community, and we are thankful for the strong support we have received in the past. Your donation is tax-deductible and will be used to support one or more of our community programs or events. More importantly, your donation will help maintain and operate the clubs that house many of UEAA’s community programs. Prior to your donation, please email us [[email protected]] with your name, phone, and comments. This will insure your donation goes through the proper channels. Thank you.